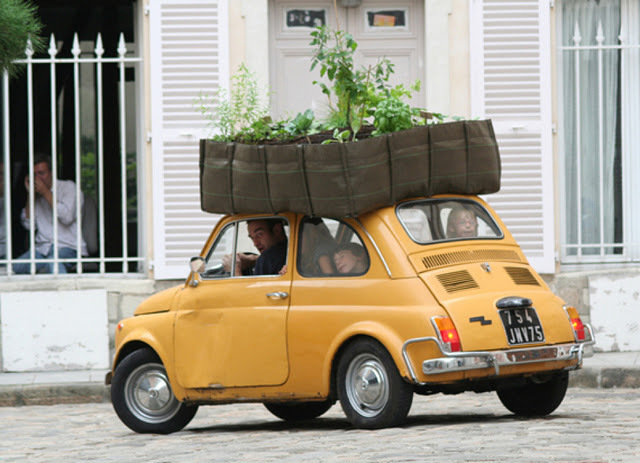 A veggie patch on wheels. This image is just adorable. I love this. 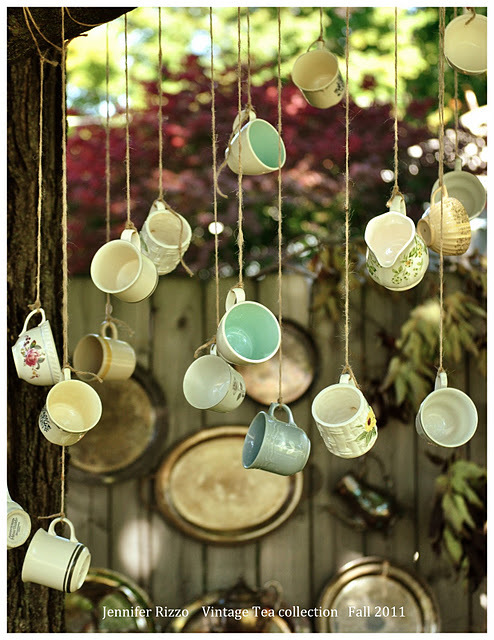 I don't know why but I have always loved old teacups, and the idea of incorporating them into a garden appeals to me. 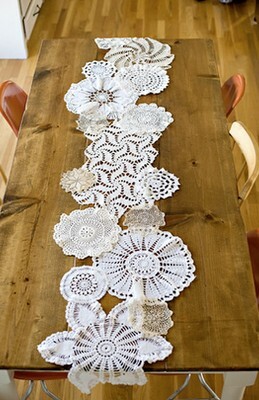 Show off your old doily collection by making them into a table runner. It looks great on a rustic timber table. Gypsophila commonly known as Baby's Breath was used extensively throughout the 80's and 90's in bridal floral decoration. 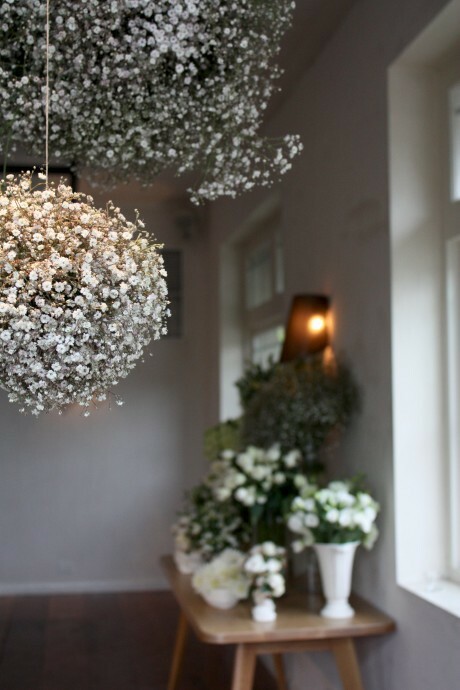 The dainty white flowers fell out of fashion,but now it's back. In fact we have it growing in pots for sale right now. It will grow in the garden and creates a lovely soft border. Sunflowers, gerberas, lavender and daisies are old school plants that are becoming more popular in the modern garden. 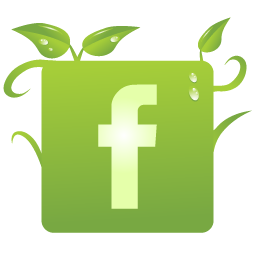 An old bath tub planted up in all your favourite flowering plants could be a cool way to garden. It's all a bit French.